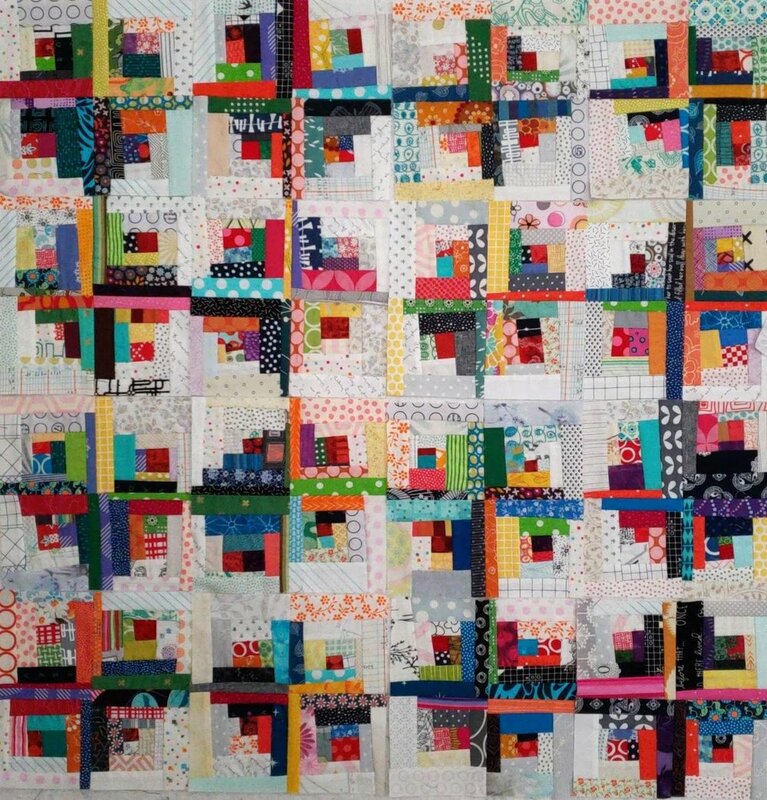 Add another project to the Quilts Under Construction List. I was tidying up the sewing room a few weeks ago and came across a few little log cabins I made as class samples for my Little Bits class. At that exact moment I had a little time and impulsively sat down to create a few more. And a few more. The log cabins finish at 4.5'' x 4.5''. I was quite taken with the 4-patch layout so I started sewing them together that way. As I made more I realized this has serious potential as a quilt, not just some scrap play. That means I'm planning for at least 100 blocks, or 400 little log cabins. I try not to think of it that one. One block at a time. So it is now a solid Morning Make option. I can make 4 little log cabins in 20-30 minutes. Summer is still lingering here so I've been able to dedicate that much time most days. I'll play with these until I bet bored, then they can be tucked away. No rush, no rules, no pressure. Just play.